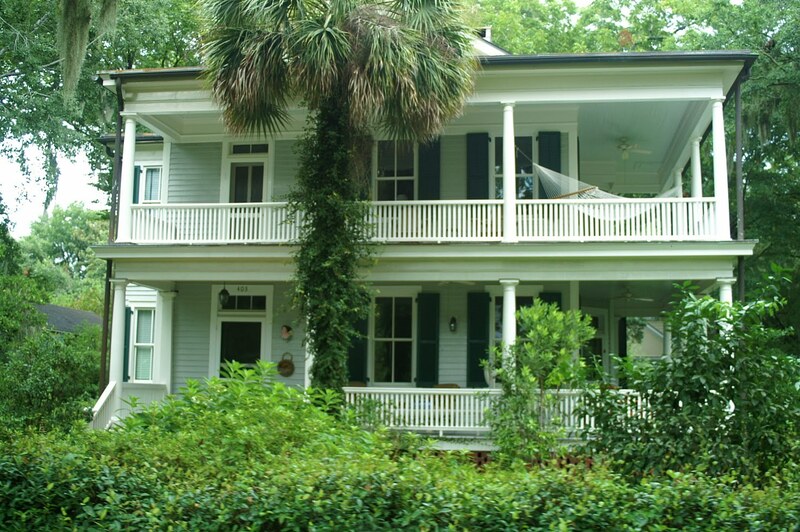 Years ago I read Midnight in the Garden of Good and Evil by John Berendt and fell in love with Savannah, Georgia. Good novels do that—take you to a place and leave you wanting to live there, or at least drop in for an extended stay. This summer my family took a detour from our usual Gulf beach vacation and instead visited the Atlantic. Fear of finding the beach slick with oil had us looking for other options, and we chose Hilton Head Island, South Carolina. En route we spent one night in Savannah and then took a day trip to Beaufort, South Carolina. Each of the kids chose a tour: Ben selected the nighttime ghost tour of Savannah and then Jacob had us on the Black History Tour the following day. 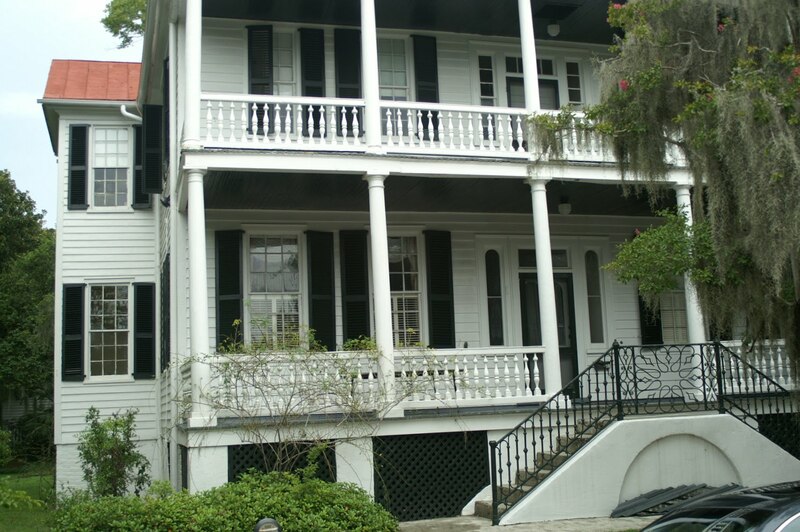 During both we learned a lot about the history of Savannah and the traditions that remain to this day. 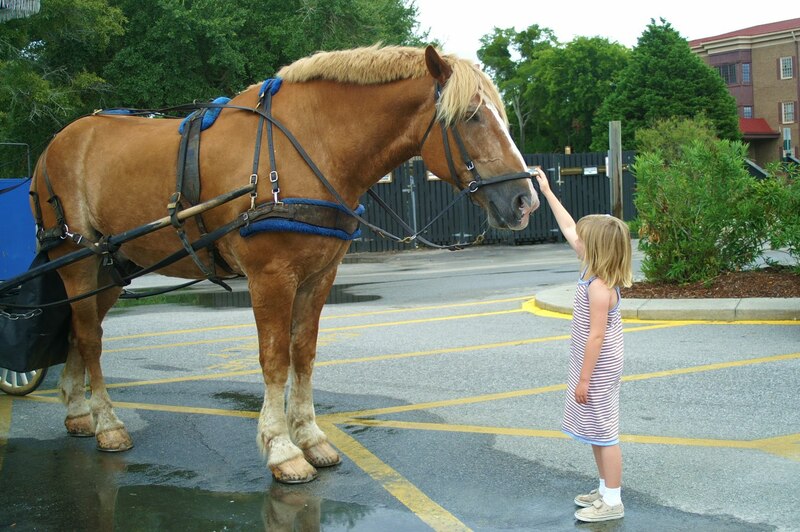 Later that week, Mia chose the horse-drawn carriage tour of Beaufort, home to Pat Conroy and the backdrop to many movies including The Big Chill, The Prince of Tides and Forrest Gump. In both towns I found myself immediately taken in by the trees—amazing, centuries-old oaks clothed in creepy shawls of Spanish moss. Of course, one town square in Savannah was devoid of moss. An indentured servant had been hung there for murdering her abusive master. Pregnant when tried and convicted, she was allowed to give birth before they hung her. Legend holds that she haunts the square, searching for her baby. 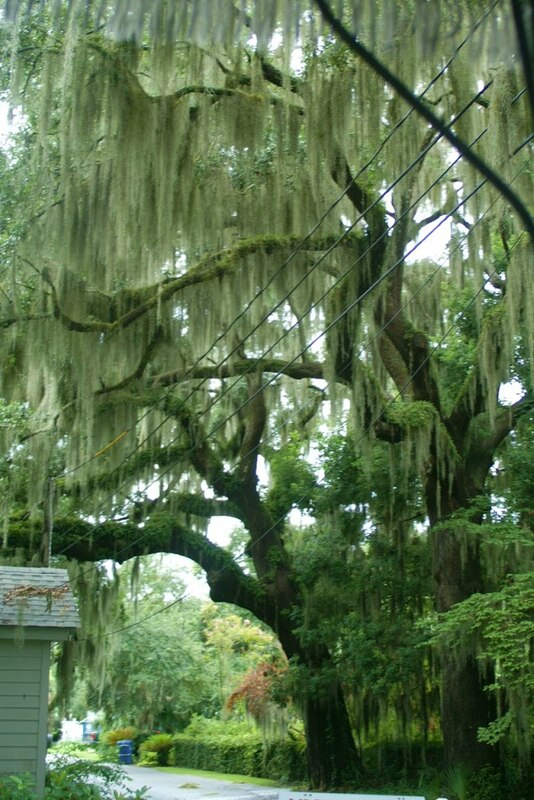 Therefore, no Spanish moss grows. We also learned that during the Yellow Fever epidemic, people who were thought to be dead were actually only comatose. Not sure how it was discovered (and can only imagine), but people were buried alive. Someone decided the most humane thing to do was to bury people with a string around their hands, and that string would be attached to a bell near the headstone. Someone would be hired to sit in the graveyard (thus the term “graveyard shift") to listen for the ringing of the bells. I’m assuming he also had a shovel! If you passed someone in town whose funeral you’d attended, you might say, “Hey, didn’t we bury you last week?” To which he’d reply, “Yes, but I was a dead ringer and was saved by the bell.” More familiar phrases we still use today. 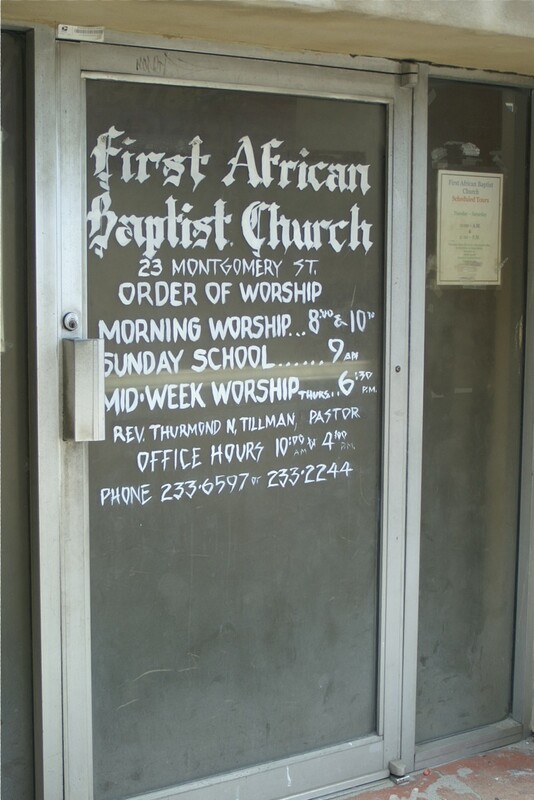 The Black History Tour included a tour of the oldest Black Baptist church still in existence. (No photography allowed, unfortunately, but the interior was spectacular in its tradition and simplicity.) In the Black cemetery, slashes in the bark from the beatings the slaves endured while tied to the trees brought tears to my eyes. We also learned that a slave, who was typically never given a last name until freed, would often take on the name of his master or make one up of his own. Therefore many chose colors—White, Black, Greene or Browne—with an e sometimes added to stand for “emancipation.” Washington, Jackson and Jefferson—notable men of history—also inspired last names but curiously, few if any Lincolns. We learned more about the Underground Railroad, and the symbolic diamond shape patterns in architecture meant a safe haven for slaves or servants on the move. Other architectural symbols included: A red door meant the mortgage was paid; a porch with a black ceiling meant the house was haunted by someone who either died or was murdered there; a green porch ceiling meant someone died inside but the owner didn’t believe the house to be haunted. In To Kill a Mockingbird, the mockingbird symbolizes innocence, and the killing of a childlike bird relates to the pain and hurt innocent people endure in the story. In The Red Badge of Courage, the “red badge” is the blood from a bullet and therefore wounds received in battle—both physical and emotional—represent bravery and a loss of innocence. Colors are often used as symbolism—red for blood, white for purity, green for nature or money, purple for royalty. Animals and insects too—wolves for danger or violence, dogs for loyalty, spiders for craftiness, rats and roaches for poverty and filth. A redheaded character is typically fiery and headstrong; a blonde often ditsy. In my own manuscripts I’ve found I have a thing for motorcycles. Yes, I understand their danger—I was raised with a brother who raced them and I had my own trail bike. But in my stories they represent both an escape from the ordinary and a way to show a character moving out of her comfort zone. Symbols play important roles in storytelling. The trick is to not fall back on the clichéd and create your own to make your story unique. Do you have any you’d like to share? I've been a news junkie since I was old enough to read. As a kid I was always a reporter, always interviewing and always writing. 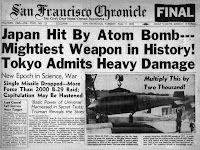 I still keep a musty box of saved newspapers with important headlines: Reagan Shot, Operation Desert Storm in Full Force, Terror in the Skies, and most recently, OBAMA WINS! I went to Western Kentucky University, a school well-known for its school of journalism, and my plans were to let my words take me around the world, reporting on the latest story. I wanted to see my byline under those headlines. I wanted to tell the stories. 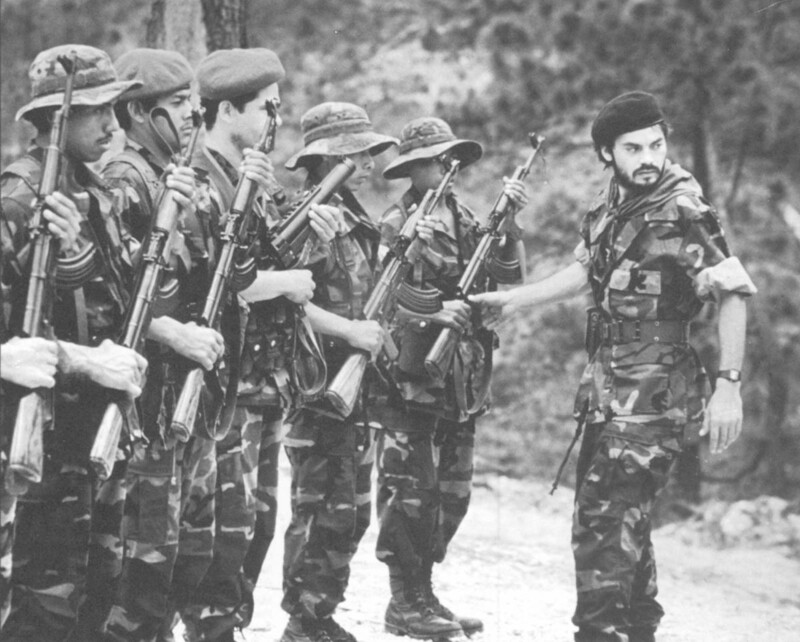 As a teenager and college student, I imagined myself in a tank top , camouflage pants and combat boots, embedded with Contra guerrillas in the jungles of Nicaragua, interviewing a rebel leader about his cause. I could see myself in Bosnia, blending in seamlessly with the victims of 'ethnic cleansing', and getting the story out- just in time- from the bombed out ruins of the National Library. In my youth, I had grand plans for chasing wars and pursuing the truth, and hopefully, in the telling, moving us as a society closer to peace. I entered every conversation seeking the answers to the '5 W's and an H,' and in those days before the Internet and smart phones I never left home without my reporter's notebook. News has changed dramatically in the past 20 years, but the stories, tragically, don't change much at all. There is always a war, always a crash, always an assassination. Yet I am not a journalist by trade, and only worked for local newspapers for a very brief time. After college, I never wrote for a paper again. The dream of being a reporter took a back seat to paying bills and building a house, a marriage, a family, and a life. 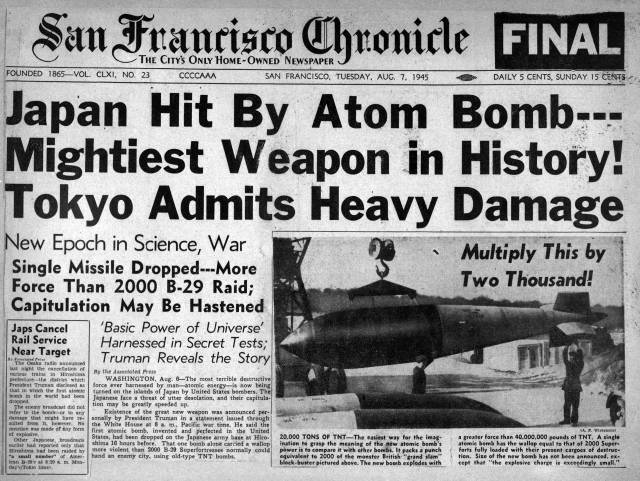 But I am still a news junkie, watching for the latest story, clicking through news sites evaluating the writer, still saving newspapers with cool headlines before the newspapers themselves become extinct. I think about the new journalists- trained differently than I was trained, and I follow their stories as their lives- and the lives of those they write about- are changed by where their words take them (take for example, this infamous interview by Michael Hastings, The Runaway General for Rolling Stone). New and young journalists cover the Gulf oil spill strapped into helicopters and hover above the spewing polluted waters. Anderson Cooper is everywhere from Haiti during the quake aftermath to the latest weather disturbance. I watch them all, read every headline, and live vicariously. And my childhood dreams? 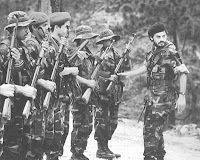 I never got to hang out with Contra rebels, and although I almost made it to the Serbian border in 1992 during their conflict, I never made it to 'the action.' I've got other dreams now, and I'm chasing them full speed ahead. I watch where the words take us, and where they've taken me. I'm content to let real reporters chase the stories, spreading the truth on the lives and deaths of others. I'm not so concerned about telling the stories of others anymore. I'm content living my own story, writing my own headlines, and allowing the stories of my life to live for me, my byline in bold italics leading the way. 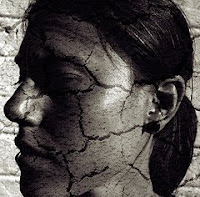 Have you felt as though you were walking through a long, blistering drought lately? Has your soul felt shriveled and dried up, the thought of "producing" anything of creative value seemed like a tiresome, if not impossible chore? In Texas and several other parts of the country, we've experienced a blistering month of temperatures over 100 nearly every day, with DFW's Monday high of 107 tying a 1952 record. June was the third hottest on record for the area. In 2000, we experienced the longest dry spell in half a century in the area – not so awful if the two previous summers hadn't been nearly that bad. 1998 sticks out in my mind as a long, horrible, dry, hot summer, where I didn't venture outside unless I had to buy groceries, and usually only after the sun went down. I had the pleasure of spending two weeks out of the last month in Colorado, which certainly improved my chances for tolerable temperatures. A week in Breckenridge delivered highs in the mid 60s, and we almost enjoyed Denver's 95-degree heat wave. Unfortunately the worst sinus infection I've ever experienced snuck up on me right as we left Texas and stole much of my joy over the cooler weather. Being severely claustrophobic didn't help. I was in strange beds in places far away from home and my doctor's office. I didn't sleep. I paced the floors at night, counting the hours until morning when, though exhausted, I was at least moving and busy, enjoying rafting and horseback riding and other fun activities with my family. Though I hated for the vacation and cooler temps to end, I couldn't wait to get back to my own bed. And there, I had one night of respite in the comfort of my own room, so exhausted, I doubt I moved a muscle. "Home," I thought, dreaming my sinus troubles were a thing of the past. But even though my doctor was able to fit me in immediately and give me a prescription for antibiotics, my condition grew worse, the heat outside fighting the air conditioning inside, combining to make my body feel it was in constant turmoil. For three nights, I paced the floors again at night, the darkness seeming to exacerbate my sense of claustrophobia at not being able to breathe, lying down to doze for a few minutes only to wake back up in a panic. Finally, I called my doctor again Friday morning, hoping that pushing through four days on the antibiotics with no relief would be proof I'd given it my best shot. He was able to work me in again, and I guess the agitation in my voice and face was enough to show him the main thing was to get me some sleep. He prescribed something that virtually knocked me out as well as a new allergy medication I hope will be an ongoing help. These things made me a little sane again. They made me feel as though I could survive the (surely decreasing) period of stuffiness and horrid weather. Little by little, I've felt like I was coming back to life, even if I wasn't exactly myself. I let my dog out around noon, and stood stock still in the doorway. Then I walked into my yard and turned slowly in a circle, lifting my face to the sky and spreading my arms in amazement. If any neighbors spied me over the privacy fence, they likely thought I was participating in some bizarre ritual. Not only was it cool, but tiny droplets of rain landed here and there on my palms, my forehead, my lips. I yelled into my house, where my mother was watching a tv program, "It's practically BALMY out here!" I checked the temperature, and it was only 74 degrees. And with the relief in the weather, I felt an almost immediate easing up of the muscles and spaces that allow me to breathe more freely. I thought, "I think I can survive this thing." Maybe this sounds like a silly, self-indulgent story about the weather and my sinuses. Maybe this even sounds like oversharing. But this morning reminded me about how sometimes we go through a drought. With our writing. With our art. With our music. It seems the drought might not end. We do whatever we can to free up the muse, soul searching and pacing and communing with others. But the hills and valleys and waterways we draw from to breathe life into our work fail us, blistered and dried up. 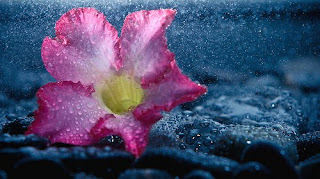 We feel that the little part of us that brings us such joy has maybe even died and our lives will never be the same again. But then, one morning, we wake up, and we step into our skin, and there's a break in the drought. It might not happen all at once, but it happens. And we are ourselves again. I’ve had a file lingering for a while in my blog folder. The title is Disappointment and the page is blank. Somewhere on my messy desk are notes where I fully expected the idea to flourish and mature, with just the right amount of cleverness and humility worthy of the topic. But I don’t need notes to remember the hours spent writing, revising, editing, critiquing. The joy about an idea or scene I wanted to write and the pain at my inability to get it just so. Who am I to call myself a writer? Dani Shapiro is a writer. Dara Horn is a writer. Kate Morton is a writer. I’m minutes away from putting my third manuscript in the drawer. Even now, I can't describe my disappointment at this decision. The anguish of leaving behind not only a story I've spent so much time with, but characters I will mourn and a setting that won't fade from my mind, no matter how hard I try. Just the other day I got another Bodleian Friend's Newsletter, and in it, a eulogy on one of the Bodleian's first women librarians, there at just the same time as my character Gigi Dottie. A recent post by Janet Reid linking to Tawna Fenske’s blog post got me thinking: I’m not alone in my disappointment. And I’m not embarrassed by it either. There are probably thousands of writers just like me, putting endless hours and painstaking devotion into their manuscripts. Honing their prose, chasing the perfect word or phrase. Searching for the perfect agent. Tawna Fenske found hers and so will I. There were plenty of non-responses to queries, but most disappointing were the non-responses to partial and full submissions, six months, a year, two years later. Like many writers, I’ve moved on to my next project. And although I’m deep into the story, I still hold out hope that I'll get the chance to resurrect one or more of my earlier manuscripts--or that the sole outstanding full submission on #3 will turn into a yes. Yes, receiving rejections is disappointing, whether they're non-answers, form rejections, or no-thank-yous based on a partial or full. But mostly I’m disappointed in myself. That I sent out my manuscripts before they were ready. Sent them out before they could have been the best that they could be. Instead of wallowing in my disappointment, though, I’m going to use it. I’m going to harness the negative energy to fire up my current WIP. To take my joy and excitement about number four and make it just so. Before scho ol starts each year I compose a letter to my children’s teachers. I try to imagine myself a stranger to my kids and write down anything that would be helpful for me to know in order to keep them happy and productive for the school year. I’m careful to be honest about their strengths, things I hope they will work on throughout the year, and personality quirks. Invariably, the teachers thank me for letting them know that Sasha holds a grudge if the teacher sits her beside a ‘talker’ and then gets in trouble for telling the kid to be quiet or that if Ashlyn’s tummy hurts the best way to make it stop is to minimize and distract, not call Mommy. Kim will be in your grade 30 class this year and I thought you may find it helpful if I were to tell you a little about her in order to start the school year off right. She is a highly motivated student but may become messy or forgetful if bored. She would rather read than watch TV or play video games, and nothing would make her happier than if you would assign a hundred page dissertation on some obscure historical or literary figure. She finds research fun. So fun, in fact, that sometimes she may waste a whole week reading and transcribing a stack of letters from the 1840s instead of staying on task. If at all possible store any math books in another classroom. Too many numbers frighten and overwhelm her. If you replace numbers with x and y she will feign illness the next morning. As for behavior, Kim will not be disruptive unless the volume of noise in the classroom rises past the point where she can no longer hear herself think. That level is much lower in Kim than in the average middle-aged adult and, once crossed, will soon lead to agitation and possible shouting. In order to prevent this it may be best to have her separated from her peers for part of the day. The room need not be padded – just quiet. Surrounding her with art and allowing her to snack frequently will keep her calm and focused. It has been a disruptive summer with family vacations, multiple illnesses and a general lack of routine. This has left Kim a bit more distractible than usual and she may have difficulty sitting still. She will not hold a grudge if you tell her she must write 100 words before she can leave her seat. By the end of the day she will likely be on par with the rest of the students as far as word count. Please keep in mind that 100 words on the screen was likely 400 words of actual writing – she’s an extreme perfectionist and a compulsive rewriter. I’m sure with your guidance and patience you can get her relax her standards enough to finish her tasks in a timely manner. No, she does not have ADHD. It just seems like it sometimes. If all else fails, you have my permission to tie her to her chair. Good luck! I spend a pretty decent chunk of time each summer on the road, but this summer has been ridiculous. In addition to my regular Dallas to Birmingham to North Carolina to D.C. swing, I repeated the return journey thanks to the need to retrieve my no-longer-damaged car. In between my Eastward treks, the kids and I, along with my mother-in-law, drove from Texas to Phoenix a couple of weeks ago. And earlier this summer I drove back and forth to Boy Scout camp three times, a total of a dozen-plus hours in the car. Despite the fact that I never hit the west coast, I feel it's reasonable to argue that I drove the breadth of the country this summer. That's a lot of time on my heiny. What was great about it, though, was the books. Since I was behind the wheel a good seventy-five percent of the time on the road, it would be scary and cop-baiting to read with my eyes. Nope: what I did, and the kids and my mother and mother-in-law with me, was listen. We got through the first Harry Potter as far as Halloween, and planned to savor the rest on the Arizona trip, only to discover after my fast dash into the library I'd instead grabbed The Chamber of Secrets . (And whew! thank goodness for links, huh? Because otherwise how would you ever find anything by the obscure J.K. Rowling?) So for two days on I-10, we listened wide-eyed as Dobby as Harry and his pals survived their second year at school. Earlier we'd introduced Grandma to How to Eat Fried Worms by Thomas Rockwell, which has become a summer favorite. (Last year I think we heard it three times!) I enjoyed The Divorce Party by Laura Dave as I trekked to Camp Constantin, and between Washington and Asheville I relished my first "reading" of Tracy Chevalier's Burning Bright. Until about three years ago, I'd never done books on tape. (Okay, it's a CD player, yeah, yeah, yeah; old words die hard.) Joan is probably the reason I even considered them. I think it was by our second meeting she'd waxed euphorically of their merits, and though I still prefer my eyes to my ears, I have to agree: Audio books rock. A few summers ago, as I slid that first CD into my player and held my breath hoping it wouldn't put me to sleep, I had no idea how much they would help my writing. That's what has really struck me this summer in particular over the hours and miles. Listening has taught me about craft in new ways to reading; hearing the books, hearing the words unfold, I am struck by the craft and craftiness with which these authors write. Some of the books I've read in hard copy, and some were fresh reads. I don't know what it is about listening as opposed to seeing, but I've been amazed at what I've learned about pacing and suspense, about timing and details, about structure and the senses. Oh, yes! the senses! Looking at some of my earlier work, I can see that I haven't always incorporated those five magical sensations into my writing as well as I could. Hearing it in others' works has informed me how much richer they make a story. In some cases, make the story. I have one last big push in the car, a fourteen hour day, and I have Lois Lowry's remarkable Number the Stars at the ready for the last stretch to home. After that, I hope to abandon the car for as long as possible. 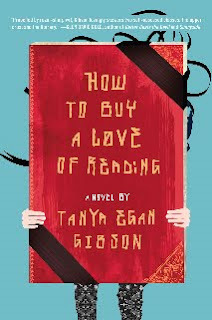 Instead of grabbing the steering wheel, I hope to grab a big fat novel, and then another, and another. Oh, and my pen as well. In both cases, I think my audio experiences this summer will enhance what I get out and put down. And next summer, when I hit the road again--and I will--my CD player will be ready, my mind open, and once again the road will hum with the sound of words reading me along my journey. A few weeks ago I lamented here about my lackluster life and how nothing ever exciting happens to me, therefore, a memoir is certainly not in my future. But for some reason I’ve been drawn to reading them lately—memoirs and biographies…fascinating stories about the lives of others. Last month I reread The Glass Castle and enjoyed it just as much as the first time. (I’d read it several years before and even went with Joan to hear Jeannette Walls speak in Richardson.) I still found myself turning to Jeannette's photo on the book jacket, marveling that she lived to tell her story. Then this week I finished Little Girl Blue: The Life of Karen Carpenter by Randy L. Schmidt. I grew up a fan of The Carpenters’ music and admired how Karen was a drummer-chick. How cool! Like Schmidt, years ago I watched the biopic of Karen’s life on a made-for-TV movie and sat enthralled by how her seemingly fairytale life tragically ended. Schmidt was so taken by Karen that, even though he was just a young boy when she died in 1983, he set about learning all he could of her life and now has a book of his research. It’s a wonderful read that I highly recommend. Now I’m reading a much different memoir by Russell Brand: My Booky Wook . Brand is a popular British comic-turned-actor. (You might have seen him in Forgetting Sarah Marshall or Get Him to the Greek.) My son and I are fans so he bought the book for me. If the photo captions are any indication of the story’s tone, I’m expecting it to be loads of fun. Next in my stack to be read is Mary Karr’s Lit. Karr has led such an interesting life that Lit is her third memoir. Wow! Also in my stack are some sports-related memoirs that I’m reading as research: The Blind Side by Michael Lewis, Standing Tall by C. Vivian Stringer (head coach of the Rutgers University Scarlet Knights) and coach Tony Dungy’s Uncommon. We put away the album then pulled out the journal I keep near me in my office, a recording of the funny things my kids say and do—touching memories I’d surely have forgotten had I not written them down. Carefully tucked away in my bedroom bureau are more journals. One from high school that is a sad testament to my immaturity. A second that contains my poetry. Another a collection of creative writing from my high school class. Those she can read years from now. 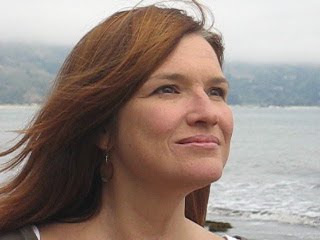 What Women Write is thrilled to introduce Alicia Bessette to our readers. 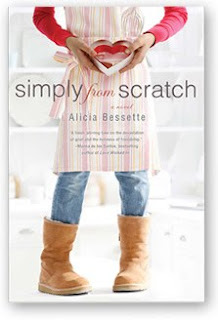 Alicia’s debut novel, Simply From Scratch, released August 5. I had the pleasure of reading an advance review copy from Dutton, her publisher, and talking with Alicia about her novel and writing. About Simply From Scratch: Simply From Scratch is a tender-hearted debut novel about a young widow, a nine-year-old girl, and a baking contest that will change both their lives. It's an international bestseller (so far, four straight weeks on the Spiegel bestseller list in Germany) and a People magazine Great Read. And from Kirkus: "Fans of Cecelia Ahern’s PS, I Love You will find a lot to like here ... strong, richly detailed ... with a truly lovable heroine." Alicia Bessette was born and raised in central Massachusetts and graduated from La Salle University in Philadelphia. A pianist and freelance writer, she and her husband, novelist Matthew Quick, live near Philadelphia with their adopted racing greyhound, Stella. Simply From Scratch is Alicia’s first novel. JK: Alicia, we’re so glad you could stop by What Women Write! Congratulations on your debut. I had just finished reading another novel whose point-of-view character was a young widow when I began reading Simply From Scratch. My first thought was, “Oh, dear, two grieving widows in a row might be a little more than I can handle.” BUT. I was surprised. I absolutely loved that you employed humor so frequently in Zell’s grieving process. Your story, while bittersweet in spots, was overwhelmingly hopeful. Did anything in your personal experience prepare you to write the grieving process in this way? AB: Right! Just because a book centers on a sad event doesn’t mean the reading experience is necessarily depressing. I purposely inject my characters with humor and hope and a gleeful curiosity about life in general. Reading should be a pleasure. I think absolutely everything in my personal experience prepared me to write Simply From Scratch. I’ve never been widowed. But I live and listen and love and try to be humane. JK: That’s good advice for anyone. The plot in your novel centers partly on a cooking contest the main character, Zell (Short for Rose Ellen – love that!) and her young neighbor, Ingrid, decide to enter together. You’ve included a very important recipe in Simply From Scratch. Did you create it yourself? Did you consider yourself a baker to begin with, or like Zell, did you need to experiment, starting from scratch, until you got it right? AB: Over the years I’ve become a fairly competent cook, but baking does not come easily to me. When my fantastic editor (Erika Imranyi at Dutton) suggested I include Zell and Ingrid’s recipe in the pages of Simply From Scratch, I panicked. How was I going to do that? Answer: by doing exactly what Zell and Ingrid do in the book – heading to the kitchen for some experimental baking. I started out by listing a few of my very favorite things to eat – cheese, fruit, and chocolate – and went from there. Trial and error! JK: I’m going to try the recipe one day. When I first began reading Simply From Scratch, I thought reading the word “Scrump!” again and again might grate on my nerves. But guess what? More than a month after finishing your delightful novel, I find myself saying, “Scrump!” in my head when I taste something new and delicious. Then I laugh at myself. Where on earth did you come up with television show host Polly Pinch’s character and her over-the-top idiosyncrasies? AB: I’m kind of obsessed with cooking shows. I love them. Many celebrity chefs seem over-the-top – they have to be, because those huge personalities make their shows so much fun. But we don't know what goes on in their personal lives when the cameras aren’t rolling. That’s what I explore through the character of Polly Pinch: You see her hamming it up for television – and you also get to see her behind the scenes, when nobody’s watching. Many readers have called Polly a spoof or caricature of Rachael Ray, and perhaps she is, but I didn’t intend that when I was writing. I love Rachael and I love Giada de Laurentis, too. JK: Captain Ahab is another character in Simply From Scratch – one who really tugs at the heartstrings. Would you tell us a little bit about the relationship of this character to your real life? AB: When Matt and I were in our mid twenties, we adopted a beautiful retired racing greyhound named Stella B. Quick. She influenced the greyhound character in Simply From Scratch, Captain Ahab. Many greyhounds are very serene, and something about their presence is soothing. Captain Ahab is a comfort to Zell as she learns to live without Nick. Our sweet Stella passed away just a few days before Simply From Scratch was published. I’ve blogged quite a bit about Stella recently. If you’d like to know more about her, click here. JK: I’m sorry for your loss. Simply From Scratch ended up being a great tribute to Stella for sure. Your setting, a tiny town in New England, was charming. Are small towns or New England familiar places to you, or did you choose something new to explore? AB: I grew up in small town New England, so I’m familiar with the landscape, the people, and the overall feel. I wrote Simply From Scratch while living ten minutes outside of Philly. So, when trying to include true-to-life details pertinent to its small town New England setting, I relied on memory, and perfected the ability to close my eyes and transport myself. JK: So many of the characters have not only unique careers, but remarkable hobbies. There’s a chainsaw artist who was formerly the high school “Home Ec Witch,” a grieving woman who does medical illustration for a living, but becomes a baker, a struggling law student who snowshoes in his spare time, and a whole contingent of small town employees who take on the Katrina disaster as a personal mission. What did you learn from exploring these various pastimes while writing your novel? Would you care to admit to any of them yourself? AB: I love to snowshoe, and I took a couple of ceramics classes about ten years ago (in Simply From Scratch, Nick’s dad is a potter). I don’t have any firsthand experience with medical illustration, although I once worked with a woman whose husband was a medical illustrator, and she sometimes complained about the plastic body parts strewn all over their house! I thought that was a great, fun detail, and it just stuck in my mind. When I worked for a small weekly newspaper, I wrote a feature about a local guy who was somewhat directionless until middle age when he picked up a chainsaw for the first time in his life and discovered a latent talent: he could carve gorgeous wood sculptures. He was the real-life inspiration for the chainsaw artist in Simply From Scratch. My husband always says, “The more you like, the happier you are,” and I think that’s true. There are so many pursuits available to us, so many fun and brave people who hone various skills, try their hand at different activities. They make the world a colorful place. I love the spirit of experimentation. Maybe that's why my characters do too. JK: Speaking of your husband, you have a fairly unique situation in that your husband is also a novelist (Matthew Quick, author of The Silver Linings Playbook/Farrar, Straus, & Giroux, and Sorta Like a Rock Star/Little, Brown). What’s it like living with another author? AB: We have a beautiful partnership. He knows exactly what I’m going through and vice versa. He reads my work, I read his. We spend so much time together. A new acquaintance recently asked if a marriage of two writers is a “hotbed of neuroses,” and I had to laugh: there is definitely that. But by and large, it’s pretty awesome. JK: Readers, Alicia is an accomplished pianist and composer as well as writer. As a music lover myself, I’d love to hear about the connections between your music and your writing. AB: For me, the music writing process is intuitive. When I’m creating a new song, I ask myself, What sounds right? What would be cool to play next? By contrast, the book writing process is much more analytical and intentional. I do a lot of planning and a lot of thinking when writing words. I almost always listen to music when I write words – but I never listen to my own music! I blogged recently at The Divining Wand about Gladys Knight and the writing process. If you're curious, check it out here. JK: That’s right – Gladys Knight has a part in your story as well! Last question: Many of our What Women Write readers are also aspiring writers. Just for them: In the publishing world, which is more competitive than ever, the buzz word these days is marketing, marketing, marketing. You’re a member of the Debutante Ball’s class of 2010, a great venue for debut novelists. What other methods have you found helpful in getting the word out about Simply From Scratch? Though your release is barely upon us, how have you seen various marketing and publicity avenues already paving the way toward a successful release? AB: I’m still learning. Making yourself available seems key. You can do that through Facebook and Twitter; by visiting book clubs; by doing interviews such as this one. At the same time, know your limits. If speaking and signing at a bookstore exhausts you so much that you’re a vegetable for three days afterward, then honor that, and either plan accordingly, or don’t do too many of those types of events. Also, remember that first and foremost, you’re a storyteller. Don’t let your writing suffer because you’re focusing too much on networking or publicity. Budget your time wisely and keep the writing sacred. Learn the art of self-care. JK: Great advice, and a great note to end on. Thanks so much for joining us at What Women Write, Alicia! We wish you nothing but great things for Simply From Scratch and your career as a novelist. Simply From Scratch is available in bookstores and online. Check it out at your favorite local independent bookseller! A few weeks ago Joan blogged about allowing turns in your characters lives, having them make unusual choices, interesting and unexpected. I read that post with a snort of laughter, for I had just experienced an unforeseen turn in my own life only a day earlier. Up until the moment of that crashing din, I’d been doing everything precisely as expected. By the book, I’m tempted to say. True to character. The kids and I were on the dad-less portion of our annual trek east, visiting a beloved and much-returned to destination. (O, Mount Vernon, how we love thee!) We’d dined burger-free at the tavern instead of the food court (hello peanut soup); quizzed the historical re-enactor for new nuggets of history from his wonderful knowledge; and had been in general awed by the great man we Americans all call father. And then. Crash. The accident didn’t come out of nowhere. Accident though it was, there was a certain elegant logic to it, to both cars being aligned to that moment of collision. Had the other driver seen one more or less patient during her nursing shift; had we dithered longer or lesser in the gift shop; had my mom and kids walked to the parking lot with me rather than accepting my offer to scoop them up in front of the Visitor’s Center (oh, yeah, we really saved some time, baby); had we paused for a drink or a breath or a laugh. Or perhaps not taken a moment for a laugh. The ramifications began with the decision to limp the car twenty miles on surface streets back to my friend’s house. Then came dinner at Chipotle and cheers from the kids who got to spend another night with the pals they’d said their annual goodbyes to just a dozen hours earlier. The next day was spent at the dealership and Enterprise and on the phone trying to figure out whether we could safely drive the car to North Carolina (which had been our intended destination as we pulled away from that curb and into disaster). And in a few weeks I’ll fly one way flight back to DC to retrieve my (hooray!) repaired van, and then drive 20-odd hours home again. But it could be more dramatic, and if this were a novel instead of my life, it would be. What if my character returned not to her friend’s house, but her own home, and discovered her husband in bed with a neighbor? Or, yes, to the friend’s house, but the smoldering remains of it, the result of a fire the character herself caused by leaving a burner on when she left that same morning? Or a dead body? I guess my point is, in fiction, it’s not only important to have your characters make unexpected but realistic choices, but to experience unexpected events that keep the story going. Sure, we had a great day at Mount Vernon. We toured the house, drooled over the lamb and turkey pye, wandered the grounds. A nice day. But the accident turned it into a story.